Grandmaster and Grandmaster Aaron Banks in the 70s. Grandmaster Banks was responsible for bringing togther the best of the times with a tournament each month for many years. They included Chuck Norris, Bruse Lee, Joe Lewis and so many more. 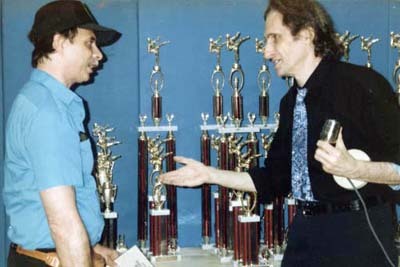 The Martial Arts owes a lot to this man for his love and efforts to spread the Arts in New York City.